Retro as in engine choices, not the styling. The upcoming 2018 Mercedes S-Class which has been officially unveiled at the Shanghai Motor Show comes with more changes than one might expect at first glance. As with most of the so-called “facelifts” these days, the refreshed S-Class looks almost no different to last year’s model. From the outside, you have to be a Mercedes engineer to actually tell the facelifted model apart from the old one. The tweaks are restricted to slightly refreshed front and rear bumpers alone, so we’ll leave the styling at that. The biggest news actually arrives once you open the bonnet. You see, Mercedes has been using V6 powerplants ever since the late 1990s. The arrival of the new millennia saw Merc switch from their old and trusty straight-six units to ‘newer’, more compact V6 ones, and they’ve been stuck with them ever since. Now though, they seem to be making a step in the right direction and going backwards (we mean that in the best possible way). The new 2018 Mercedes S-Class will debut a brand new lineup of straight sixes which will boast a less complicated and therefore, hopefully, more reliable design. The first units are diesels. 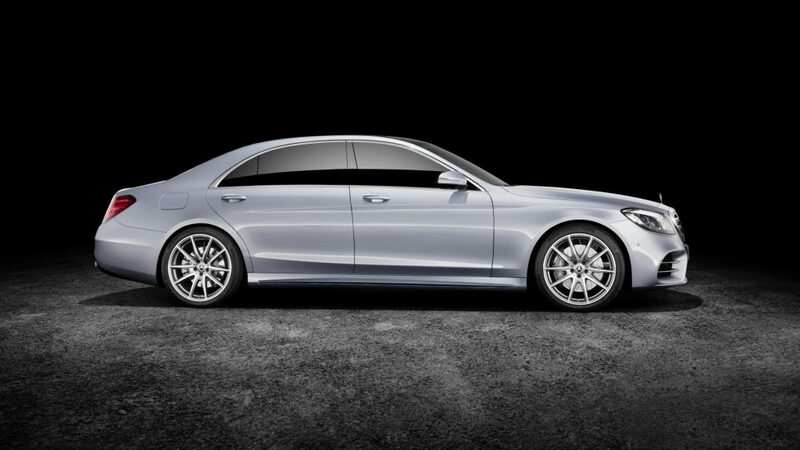 Both the S350d and the S400d get a straight-six 3-liter turbocharged diesel producing 207 bhp and 247 bhp respectively. A 3-liter inline-six petrol will join the lineup later on, apparently equipped with a 48-volt sub-system and something called an “electric booster compressor”. It should essentially eliminate turbo lag entirely, but we’ll be the judges of that once we get our hands on one later in the year. Elsewhere, Merc has finally said goodbye to the old 5.5-liter twin-turbo V8 in favor of the more modern 4-liter unit. 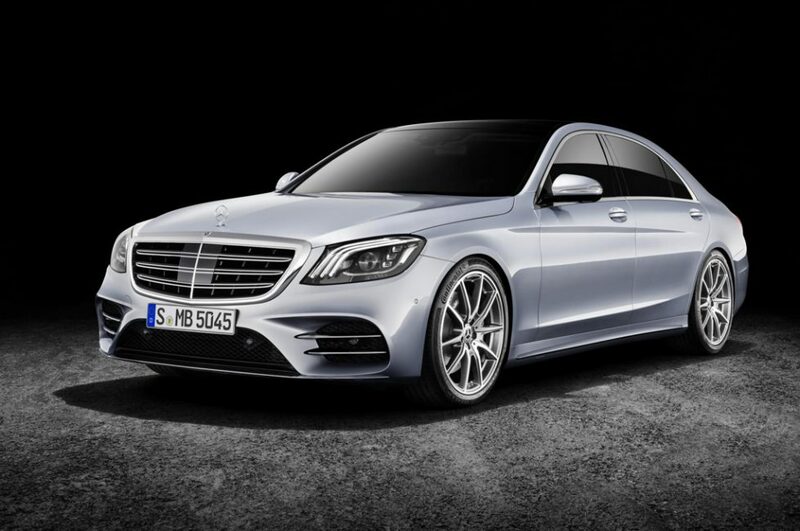 The most potent ‘S’ variant of the AMG S63 will make 612 bhp and 663 lb-ft of torque. Expected figures are as follows: the sprint to 62 mph will take just 3.5 seconds and fully derestricted it should achieve the best part of 200 mph. Naturally, this being German, the top speed will be limited to 155 mph in standard guise. Still, given its size, a sub 4-second time to 62 mph is just ridiculous. Don’t worry, the V12-powered S65 hasn’t gone anywhere. It still makes all 612 bhp and 737 lb-ft of torque. 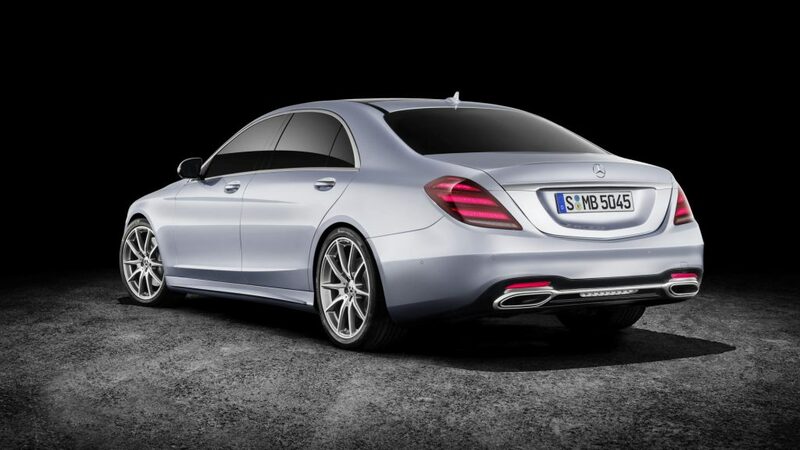 Anyone valuing luxury over performance will be interested in the Maybach S560. It makes ‘just’ 463 bhp, but is on an entirely different level when it comes to sumptuous luxury and comfort. Pricing will be revealed later this year.